According to the GDPR Regulation (EU) 2016/679 on the protection of personal data, cookies constitute personal data when they can linked to a device and, therefore, to an identifiable person. There are different types of cookies that contain different types of information and perform different functions (e.g. computer authentication, monitoring of sessions, storage of preferences for sending targeted advertising messages, etc). Each Cookie, in turn, contains different data (e.g. the name of the server it came from, a numerical identifier, etc.). This data can remain in the user’s device for different time periods: a browser session, a few hours, several days or for longer periods. Cookies that are used to browse or provide a service requested by the user. They are not used for any other purpose. Need to be installed on the user’s device? Technical cookies are necessary for the proper functioning of the site. Without the use of these cookies, some operations could not be performed or would be more complex and / or less secure. Therefore, technical cookies are indispensable. 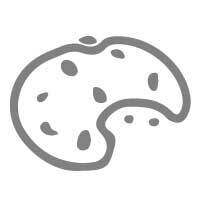 Technical cookies do not require user consent, as they are necessary for the proper functioning of the site. Third party analytical cookies can be used as technical cookies only if used for the purpose of optimizing the site by the owner of the site, to collect information in aggregate form on the number of users and how they interact with the site. Need to install on the user’s device? When used as technical cookies and when anonymisation measures are required by the Guarantor, analytical cookies are necessary to allow the site owner to improve the functioning and the user experience on the site. The user’s consent is not necessary, as we have activated the anonymization function of the IP address and use the data in aggregate form. Cookies used to track user navigation on the web and create profiles on user tastes, habits, choices, etc. With these cookies, advertisements can be transmitted to the user’s device in line with the preferences expressed from their online navigation. Profiling cookies are not strictly necessary for the proper functioning of the site and, therefore, the user can decide whether to install such cookies or not. For the installation of profiling cookies, user consent is required, which can be accepted or revoked by the user. The social buttons are the “buttons” on the site that depict the icons of social networks (eg Facebook, LinkedIn, YouTube and Twitter) and that allow you to interact with a “click” directly with social platforms.